This is the second to the last pair of socks from the 2008 (yes, 2 years ago) Socks That Rock sock Club. If you haven’t read my earlier posts on this club, you would not understand why it took me 2 years to get to these socks. 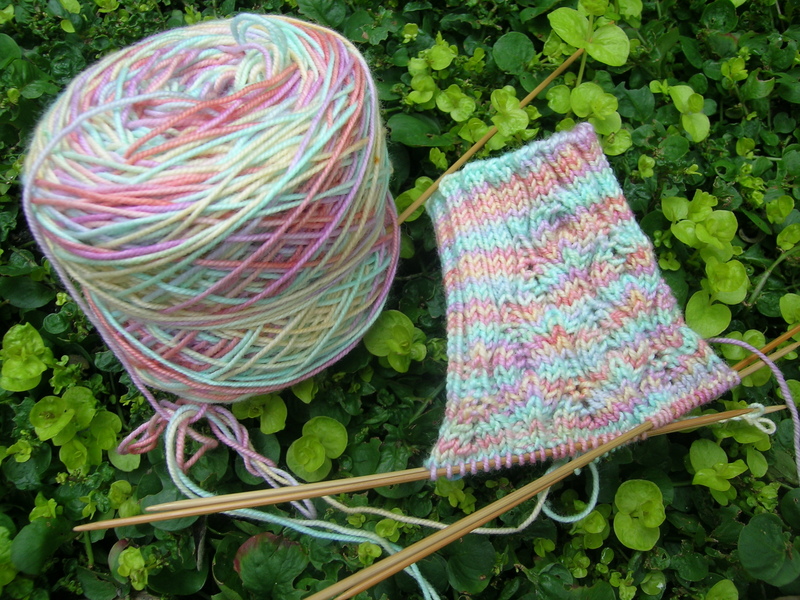 I originally joined, pre Ravelry, to have some camaraderie, and to expand my sock knitting repertoire. However, the camaraderie was minimal, and for the most part, the patterns were less than engaging. The club was really geared at beginning sock knitters. I also am not a fan of this yarn. It feels like knitting with thick cotton string instead of wool. I don’t know what the treatment that they used to get the superwash component, but it has to be a chemical one. 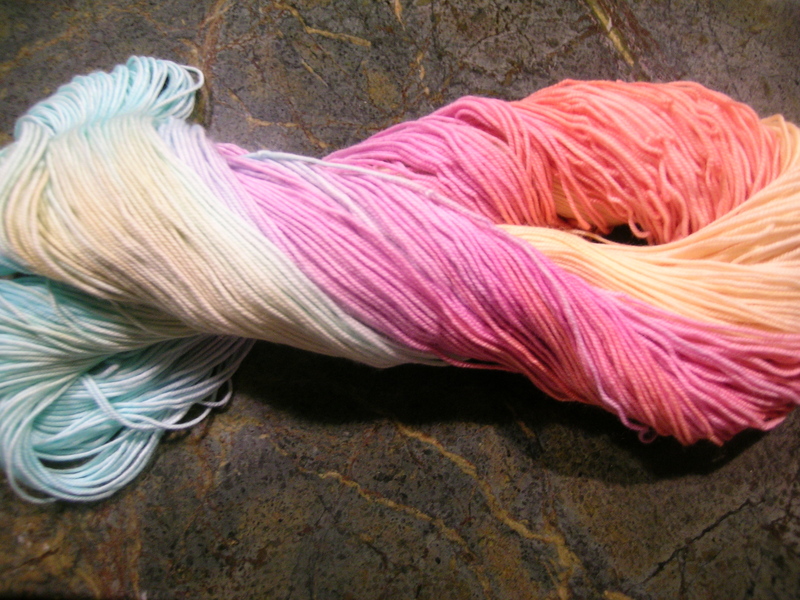 The yarn does have nice stitch definition, and I generally like the colors that it is dyed. However, when knitting with it you constantly get a twist in the yarn, even when using a center pull ball. And the yarn is way too thick for my tastes in sock yarn. I have given away every pair that I have made thus far, so I think that I will keep these and see how they wear. 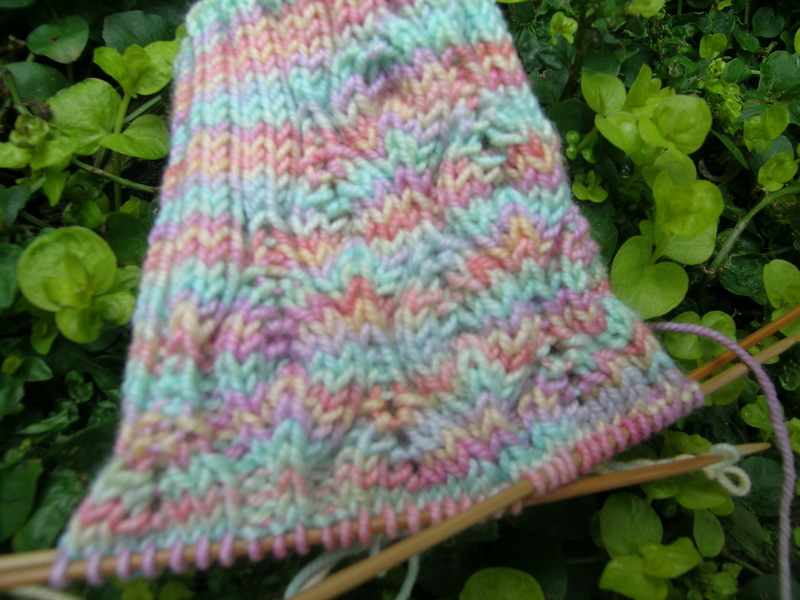 The reports for wear are not stellar on Ravelry. My last comment is that the skeins are very skimpy, and with every pair there is a fear of running out before completing the second sock. Another 20-30 yards would be good, especially at the prices. The colors are really beautiful, especially in the unwound skein. It is knitting up nicely. ← New life for Old quilts?